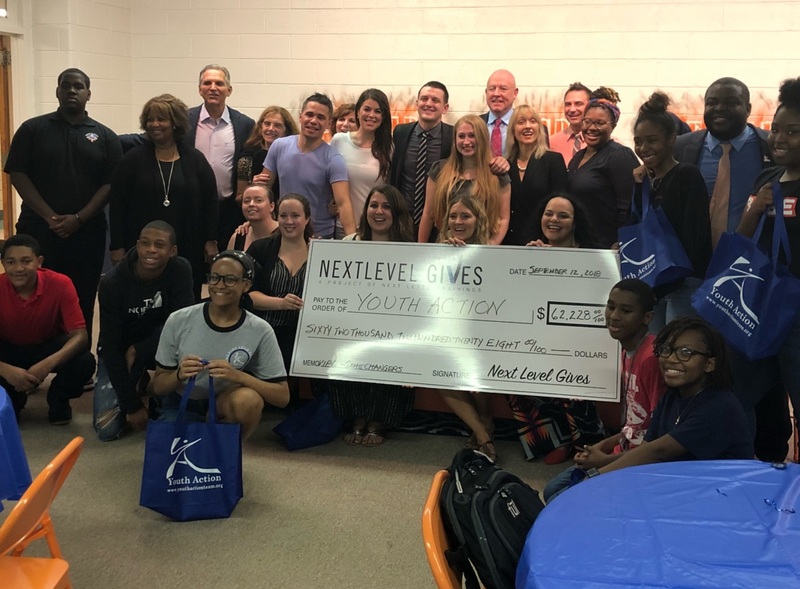 Participants in Next Level Trainings, an adult leadership program that is designed to unlock adults passion, power, and purpose selected Youth Action for their service project. 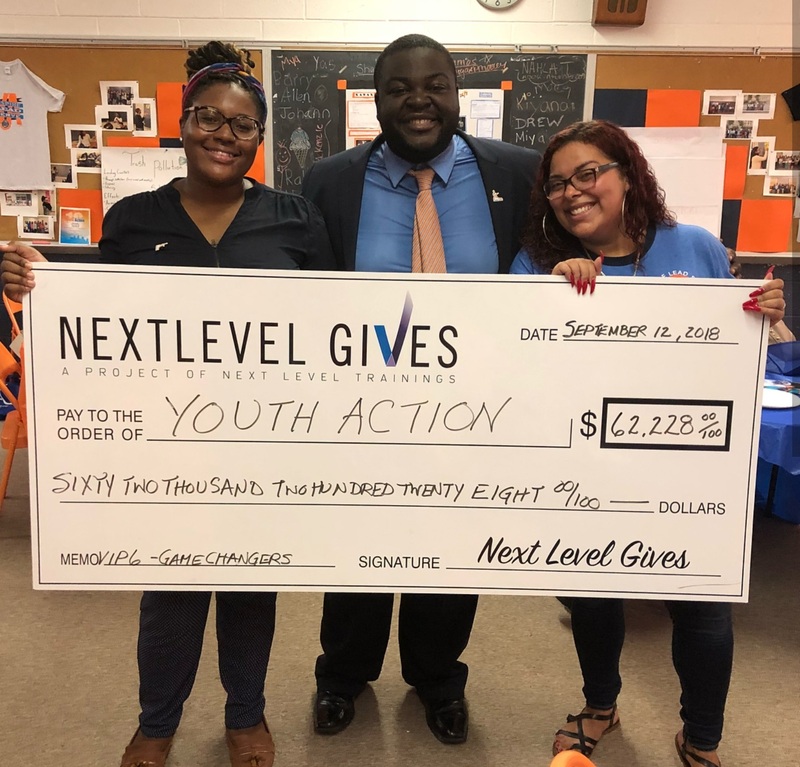 Thus far, within 2 months, Next Level has raised over $70,000 for Youth Action with the goal of reaching/surpassing $100,000 in fundraising efforts. All funds directly support Youth Action. In addition, the organization collected hundreds of tangible goods/supplies for Youth Action. A recent ceremony was held in Youth Action’s office to commemorate the work of Next Level! Youth Action’s mission is to support socially responsible leadership among middle & high school students by providing them with training, socially responsible leadership mentorship, and funding to increase their social awareness of community concerns and lead service initiatives in their communities. Working with schools and communities throughout Philadelphia and Upper Darby, PA, Youth Action offers leadership mentoring that has impacted over 5,000 students, boasts a 100% high school graduation rate, over 10,000 hours of community service, and has awarded over $40,000 in scholarships.